Scented baits do not work well in the north. 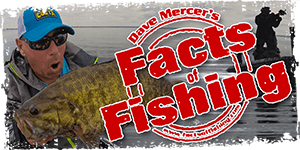 Actually, Walleyes will avoid lures that have had scent put on them so make sure you wash your lures and if you are going to buy twistertails for jigs, get unscented. Twistertails do not work that well either. Green, pink and white jig heads with just a worm works best. Really? no gulp, no plastic.....I read so much about poeple saying they do the exact opposite and use no live bait! I've had great luck with Chompers Garlic worms 4" Pumpkinseed, up north used on a single blade harness and split shot. 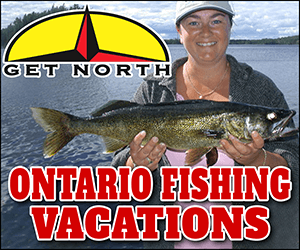 Works great when small pan fish that rob you before Walleye get a chance. I'm a big fan of Live worms also, but sometime you have to brake down and use what works. But I tell you. they stink , some of my buds hate when I dig them out. I ordered mine from the states, Bass Pro carries them here. It sounds like they are rubes to be honest. Hum....Not true for any of the walleyes I've met in my life. To me a walleye is a walleye north or south I don't know. I used to pull spinners with nightcrawlers a lot and since the Gobies took over I switched to 4 inch gulp minnows. Now I probably wouldn't go back to worms even if the Gobies were gone. I took a trip up to Nipissing a couple years back and hammered walleyes on quarter ounce jigs and gulp minnows so it works "up north" too. Like others mentioned if I were a betting man I'd say they don't want you using them up there for whatever reason. GULP denitely works up north. Given what they've said, however, I'd bring along a flat of worms just to be on the safe side. For me it comes down to what I have confidence in. When i'm up north I use jig and worms all weekenend with a 90% success rate. On those slow days, I try to experiment using artificial and they don't seem to want that either.